Valerie Jacobs has been speaking from experience about philanthropy and personal issues of wealth for over 15 years. Her open and engaging style encourages audiences to connect with her as a peer – an inheritor, a businessperson, and a philanthropist. Her experience as a marriage and family therapist adds the professional perspective essential to helping people understand their relationships to wealth and the impact of wealth on their relationships. Financial institutions, philanthropic organizations, universities, private schools, membership organizations, conferences, and seminars – any audience will enjoy the journey. For 15 years, I have responded to the needs of my friends, colleagues, and peers for a safe place to talk and share. I gave up my private practice as a marriage and family therapist to help create what they were asking for — opportunities to talk about relationships, families, children, and the difficult decisions that are unique to wealthy people. I am a businessperson. I am a foundation trustee. I am trained as a facilitator and a keen listener. I am a parent and a spouse. I am an inheritor. I have faced and still face the challenges of wealth in my own life and the desire to give back in an involved and inspired way. Sometimes what you need is not about investments and financial planning. It’s about the personal side of wealth. Valerie Jacobs, MA, MFT is dedicated to providing consulting services to individual philanthropists and foundations. She has been a licensed Marriage and Family Therapist for over 28 years, specializing in the effects of wealth on relationships and personal well-being. Recognized as an expert on wealth and philanthropy issues, Valerie was featured on the PBS program, “Money Matters with Adam Smith.” She has also been interviewed for numerous books and publications including Forbes, The Wall Street Journal, Ms. Magazine, Kiplinger’s Personal Finance, The Chronicle of Philanthropy, The London Times, The Los Angeles Times, and The San Diego Union-Tribune. 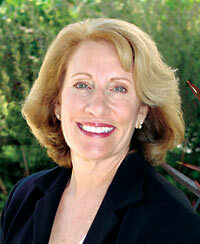 Valerie has served on her own family’s foundation board since 1988 and has served three terms as board chair. 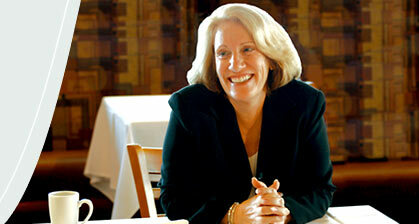 She has conducted seminars nationally for trust companies, major investment firms, and other financial institutions. She has also designed a series of conferences for wealthy families and women of wealth, presenting them throughout the country. Valerie is a nationally known speaker who has presented at national conferences including those sponsored by the Council on Foundations, Philanthropy Roundtable, the Association of Small Foundations, and Women & Philanthropy. She has been featured in programs presented by San Diego Grantmakers, Northern and Southern California Grantmakers, and the Association of Fundraising Professionals. Valerie and her husband reside in San Diego. They have two grown children.